Simon Reid is an epidemiologist with an interest in research to improve the detection and control of infectious diseases with a particular emphasis on zoonotic diseases such as leptospirosis and influenza. 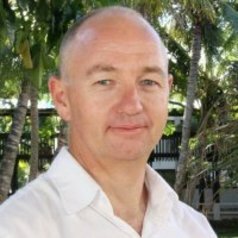 His international experience (both research and programmatic) includes PNG, Indonesia, the Philippines, Vietnam, Fiji and most of the other countries in SE Asia. His past research included th edevelopment and validation of a number of diagnostic assays and the development of a bio-economic model to predict the outcomes (financial, biological and demographic) of control interventions for trypanosomiasis in livestock in the Philippines. My future research will focus on complex diseases such as leptospirosis and vector-borne diseases.